The desperation to equate Pakistan-sponsored terror with so-called 'Hindu Terror' or 'Saffron Terror' is largely motivated by selfish considerations of very few at the cost of the nation. There can be nothing more misleading than the oft-repeated refrain of some politicians, professional activists and some journalists that all kinds of terror are same. The truth is that the objective of each type of terror is different. In the case of Pakistan, it is to bleed India to disintegration and death. The Maoist terror is to expand their writ and finally overthrow the government in Delhi. Terrorism in Kashmir has the objective of secession from India. What is the objective of 'Hindu terror' or 'Saffron terror'? Is it retributive terror? Why did this phenomenon of retributive terror not come into being between the years 1990 and 2000, when terrorism was confined to Kashmir and had in fact consumed the region? It did not happen even after Kashmiri pandits were evicted from their homes, to lead a miserable life in temporary camps. If indeed 'retributive terror' on part of 'Saffron outfits' is a reality, it is because the government was seen by the people to be confused, ineffective, and weak in tackling terror. Is it then retributive terrorism or a law and order problem, wherein certain individuals have taken law in their own hands in self-defence? Probably, in their notion such attacks can be precluded by raising the cost and threshold level, which the state has failed to do? Even, if one were to term it as 'terrorism', the question arises, are proactive and reactive terrorism the same? The same constituency of India, which takes strong objection to the term 'Islamic Terror' has no qualms about using irresponsible terms like 'Hindu Terror' and 'Saffron Terror'. How is it that it is the same people, who are supporting the Maoists and Kashmiri separatists, are speaking so vociferously about the phenomenon of 'Hindu Terrorism' or 'Saffron Terrorism'? A senior politician, presently in no official capacity and two-time chief minister of another state, sharing threat perception with the ATS Chief of Maharashtra is rather intriguing. It amounts to breach of service rules and the Official Secrets Act. Had the Union Home Minister or the State Home Minister been sharing the threat perception, it was understandable and legitimate. Was there an attempt to influence the ATS Chief? The timing of fabrication of 'Hindu Terror' is significant. Malegaon-2 in 2008 could not pay much dividends after being milked in the 2009 elections. Readers may look into the headlines of some newspapers and dominant theme of some magazines, which were on an overdrive to exaggerate the phenomenon of 'Hindu Terror'. There was a burst of inspired media leaks during that period. The same phenomenon is being witnessed today. The newspapers and the magazines are the same. Given their financial and political (can be gleaned from the net) control, it is not at all surprising. The timing, too, is not surprising, as the ground is drifting from under the feet of the current dispensation because of price rise and mega scandals. Both the periods are characterised by a burst of news regarding 'Hindu Terror'. It will further become shrill if the government continues to be haunted and will disappear, if the threat attenuates. Till then, we Indians are condemned to be subjected of bizarre theories and conspiracies. When narco-tests fail, confessions by "accused" because of change of heart triumph! If at all, it is a genuine change of heart, the entire phenomenon of 'Hindu Terror' should have been completely unraveled. There should be no need of any further interrogation. The current challenge is to keep the bogey of 'Hindu Terror' alive and this can only be done by linking the terrorist incidents at Malegaon (2), Ajmer Sharif, Mecca Masjid, Samjhuta Express and Malegaon (1). To link these it is a tall order. Malegaon-2 (2008) and Malegaon-1 (2006) cannot be linked because of various reasons. In Malegaon-1, RDX was used and in Malegaon-2, crude pipe-bombs. After Malegaon-1, the Maharastra ATS had ruled out the involvement of 'Hindu Groups', and maintained that RDX was used only by Islamic terror outfits. It is pertinent to mention that in May 2006, the police had recovered cache of RDX explosives based on information provided by arrested SIMI activists. It is a little known fact that before Malegaon-2, there was another very low key blast near the same site, which the authorities have conveniently decided not to mention because it does not fit into the script. On 28 November 2006, the Mumbai Police said that two Pakistani nationals were involved in the explosions and declared: â€œWe have successfully solved the Malegaon case. We are, however, on the lookout for eight more suspectsâ€�. The three accused confessed before a competent authority about their involvement in the conspiracy, but later two of them rescinded in front of a Magistrate on the plea that their confession was not voluntary. The most bizarre flip-flop by the investigative agencies have been with regard to the blast in Samjhuta Express in February 2007. In July 2009, the US accused Arif Qasmani, of being the Chief Coordinator of LeT for the attack and so did the United Nations. The latter, in fact, named at least four LeT perpetrators. David Headley's Moroccan wife Outlaha had conveyed to US intelligence authorities about his involvement in the Samjhuta blast and spoke about Headley's links with the LeT. She conveyed to an American official that she â€œfelt she had been used in express train bombingâ€�. Accordingly, as per New York Times, the US officials had informed Islamabad in December 2007. The much touted success of the investigative agencies in linking blasts in Samjhuta Express, Mecca Masjid and other blasts to 'Hindu Terror' or 'Saffron Terror' raises more questions than it answers. While vote-bank politics of some political outfits may have been served, India has lost. The police and the investigative agencies have been politicised and their credibility stands shattered. Even the newly formed National Investigative Agency (NIA) has been rendered vulnerable to political manipulation. The inspired leaks of Swami Aseemanand's confession and flip flops over it bear testimony. In terms of India's security, the damage is incalculable. Pakistan, the perpetrator of terrorism in India is now asking India to share the details of Samjhuta blasts. 26/11 and Samjhuta blasts, much to the gratification of vested interests and anti-nationals, stand equated. As and when Pakistan unleashes, the next terror attack on India, the Pakistan authorities will deny it and demand that it be first establish whether it was 'Hindu Terror' or 'Islamic Terror'. India's option of punitive action against Pakistan for sponsoring terrorism within the country stands foreclosed. India is losing the war against terrorism. RSN Singh is a former military intelligence officer who later served in the Research and Analysis Wing, or R&AW. The author of two books: Asian Strategic and Military Perspective and Military Factor in Pakistan, he is also Associate Editor, Indian Defence Review. The assassination of Salman Taseer, the governor of Pakistan's Punjab province, should open the eyes of Congress, which is so gleefully using "Hindu terror" to woo the Indian Muslim vote. Once terror - in any form, colour or usage - becomes a political tool, it eats into the vitals of the state. Having run out of ideas, Sonia Gandhi's Congress has decided to play a dangerous game, one which defames the honourable reputation of Indians as a secular, peace-loving people. Pakistan flourished on hatred towards Indian Hindus, and contempt for Indian Muslims who did not agree with the partition of their motherland. Its creation was not a secular exercise. It tried to adopt ideals it didn't understand, borrowing some from the Saudis and a bit from the boys of Kandahar. It's nowhere today. The Congress is making a double mistake. By thinking that Muslims will vote for a party that has made Hindu-bashing a creed, the Congress is insulting Muslims as well. Muslims have a mind of their own. A recent example is Bihar. Indira Gandhi banned the Rashtriya Swayamsevak Sangh (RSS), but she remained a Hindu, a believer in India's values. Indira was one of us. Sonia Gandhi is not. Only a foreign mind could use a phrase like "Hindu terror". The first time I heard of it was in a preface Bill Clinton wrote for a book by Madeleine Albright. There the term was used for Indian soldiers. Later Clinton withdrew the term. Sonia and her durbans have persisted with it. If Hindus could have become terrorists in the name of their religion and civilisation, they would have done so after the Kolkata killings of 1946. Or the Mirpur massacre of 1947. Or when Kashmiri pandits were driven out of Srinagar and the Kashmir Valley. The irony is that those who vehemently oppose tagging Islam with terror are eager to link Hindus with terror, seeking dividends either in elections or in the awards bazaar of the West. Those who join the "Hindu terror" chorus will probably be honoured in the Padma lists. There are Hindus who are terrorists, in the United Liberation Front of Asom (ULFA) and among Maoists. But should we call them "Hindu terrorists"? Terrorists are, in fact, non-Hindu Hindus. They don't kill people to establish a Hindu Raj, but to have a Maoist regime, or to divide India. Those who have a face like Pramod Muthalik or commit adharma misusing the name of Hindutva must be condemned. No Hindu in his senses would ever support acts of terror. A Godse or a Muthalik may be found, but only on the fringe of the community; just as there are Muslim and Christian terrorists on the fringe of those communities. Godse does not command the respect of India. Gandhi does. Gandhi is the Mahatma, the great soul, not Godse. Gandhi defines India. That's what Sonia must learn. Tagging Hindus with terror is murdering Gandhi, a nationalist Hindu, with a 'neo-Godse weapon of malintent'. To me, being Gandhi is to be the true Hindu. The terror attacks that shook America over 10 years ago left a scar on the face of world diplomacy and an obstacle hampering attempts to bring peace to our ailing planet through a much needed inter-religious dialogue. 9/11, the day on which 3,000 civilians were killed, marked the beginning of a struggle by Muslims to integrate into the world, particularly the West. The brutal attack, carried out by a few misled minds claiming to be fighting in the name of God, tarnished a great deal of the image of Islam. And as Muslims fight to crystallise the differences between radicalism and the noble teachings of Islam, western and eastern officials and commentators are baffled, wondering, "Where are the moderates?" With only extremism highlighted, thanks to acts perpetuated by a few radicals, many are eager to see moderate representatives of the noble religion of Islam stand out in the Muslim world, and rise as partners for peace. Reconciling Islam with the modern world has been particularly imperative for Muslims in a set of continuous attempts dating back to the 19th century, when what became known as the Islamic reform movement sprouted within Al Azhar University in Cairo, the chief institution for Islamic learning in the world. At Dar al Ifta, Egypt's supreme body for Islamic legal edicts over which i preside, we're in a continuous struggle to apply Islam to modern life. That's not because Islam doesn't fit in our modern times, for Islam is universal; the challenge lies in trying to find solutions to modern problems from within the Islamic doctrine, and consequently deriving new rulings from Islamic law pertaining to their application. We issue thousands of fatwas or authoritative legal edicts - for example, ensuring the right of women to dignity, education and employment, and to hold political office, and condemning violence against them. We have upheld the right of freedom of conscience, and of freedom of expression within the bounds of common decency. We have promoted the common ground that exists between Islam, Christianity, Judaism, Hinduism and other eastern religions. We unequivocally condemned violence against civilians during Egypt's own struggle against terrorism in the 1980s and the 1990s, and following the heinous crime of 9/11 and, most recently, the horrific church bombing that shook Alexandria a few days ago. We continue to do so in public debates with those who uphold extremist views of Islam; in training students from all over the world at Egypt's theological institutions; and also in our counselling of captured terrorists. As the head of one of the leading Islamic authorities in the world, let me restate: The murder of civilians is a crime against humanity and God, punishable in this life and the hereafter. While we must strive to reinforce the common principles that we share, we must also accept differences in our values and in our outlook. Islam and Indian civilisations have distinct value systems. Respect for our differences is a foundation for coexistence, and never for conflict. Since his historic election more than two years ago, President Barack Obama has made it a point to reach out to the Muslim world. These overtures have been heard and welcomed by many including our Indian partners. But practical steps are needed to turn good intentions into a sustained relationship of mutual trust and respect. Firstly, for Islam to be an active and moderate player in today's world, certified Muslim clerics must be recognised as the ones who speak for Islam. Too often, the media succumbs to the temptation to treat as Muslims those extremists who are representatives of nobody but themselves. We share the blame. The time has come for Muslim clerics to be more vocal and professional in their approach. Already, massive headway is being made throughout the Muslim world in educating preachers and students of Islam, helping them engage more productively with the modern world. Meanwhile, Muslim clerics are reaching out internationally to take hold of inter-religious dialogue and improve interfaith relations, such as the Common Word and the C1 World Dialogue initiative. Secondly, it is necessary for our dialogue to be multifaceted. Beyond the immediate call to improve relations, there is a dire need to make our dialogue comprehensive, including scientific, cultural, economic and technological discourses. There should be stronger ties between Indian and Egyptian universities, research facilities and students. Thirdly, a wise and balanced foreign policy should be the basis for improved relations. For the Muslim world, and particularly the clerical community, it is important that the rule of law prevail during times of conflict. There should be concerted efforts on both sides to respect international law and UN resolutions. Most immediately, this needs to be applied to the Palestinian-Israeli conflict. A universal recognition of Israel can only be contingent on the Palestinian refugees' right of return and restoration of the occupied lands. Even though it is a cliche to say that dialogue is a two-way street, it remains a fundamental point that is at risk of being lost. The responsibility of an improved relationship between the Muslim world and India falls on both sides. I feel that this is not only possible, but also the only hope for a brighter and more prosperous future for our children and grandchildren. With cooperation and respect, no task has been impossible for man. The writer is the Grand Mufti of Egypt. How relevant is he today? he world today is passing through a very difficult period, characterized by a widespread feeling of insecurity caused by global terrorism unleashed by Al Qaeda. The volume of violence and unrest prevailing in Afghanistan, Pakistan, Iraq or Palestine, has cast dark shadows on the future of mankind. Even great advances in knowledge of science and technology, including the humanities have failed to arrest the social and economic confusion, leading to rapid decline of moral and ethical values. 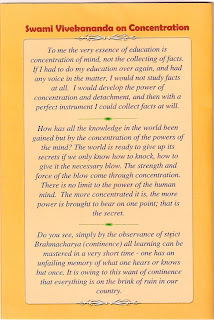 At such a time, one feels the need to turn to people like Swami Vivekananda, in order to find peace of mind. 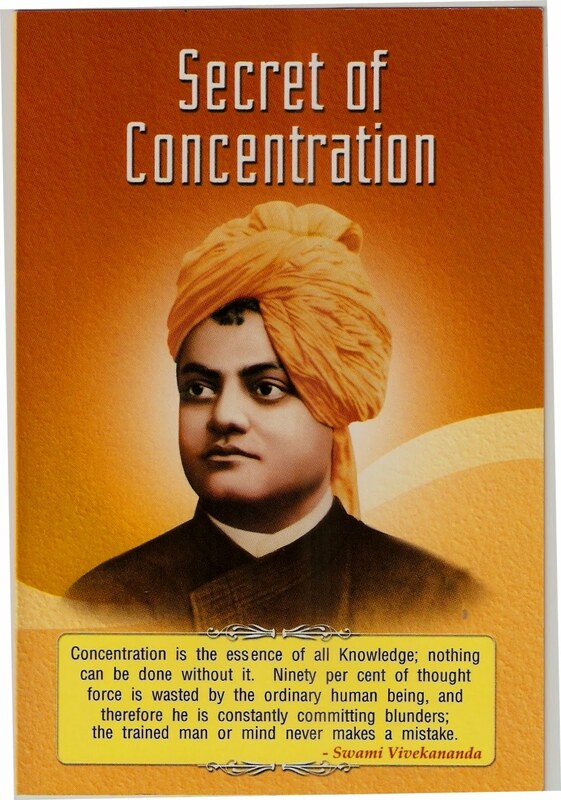 Had the world taken seriously to what this great son of India had said that "if every religion conceded that every other religion could help a person reach the same God that they are trying to reach, harmony alone would prevail", we would not have witnessed one of the most heinous examples of cultural conflict in the form of 9/11, exactly 108 years after Swami's historic call in Chicago. Thus, harmony of religions, universal solidarity, and human being as the highest manifestation of Spiritual Consciousness are the basic fundamentals one should not lose sight of in reading or understanding Swami Vivekananda. The practical aspects of these teachings reflect in renunciation and service. This forms the twin ideal of Swami Vivekananda's emphasis for the modern man and woman to strive for. Along with excellence and perfection in every field of human endeavor, one should follow these ideals, lest the person should miss the aim. A 'Cyclonic Hindu Monk' as he was then called, was, indeed, a true globalist as every true Hindu is. 'Vasudhaiva Kudumbakam' (the whole world is one family) was his credo. He had foreseen that a global situation is developing and that the time has come when even local problems have to be seen in the context of the global perspective and solutions to be sought from that point of view. "Think globally and act locally" was not a concept which was strange or unknown to him. In fact he followed that dictum. Some of the most pressing problems of the day threatening the very survival of human civilization were foreseen by Vivekananda. Religious intolerance, cultural exclusiveness and blind fanaticism were identified by him as dangerous portents. In his famous Chicago address he very forcefully brought out that these dark forces had deluged the world with rivers of human blood and brought beautiful civilizations to extinction. "Our watch-word then,", he said, "will be acceptance, and not exclusion. What we call toleration means that one just allows another to live, even if one is wrong. It is a blasphemy to think that you and I are allowing others to live?" He told the Parliament of Religions, "I accept all religions that were in the past, and worship with them all, I worship God with every one of them, in whatever form they worship Him. I shall go to the mosque of the Mohammedan; I shall enter the Christian's church and kneel before the crucifix; I shall enter the Buddhist temple, where I shall take refuge in Buddha and in his Law. I shall go into the forest and sit down in meditation with the Hindus, who is trying to see the Light which enlightens the heart of every one." Continuing, he said, "not only shall I do all these but I shall keep my heart open for all that may come in the future. Is God's book finished? Or is it still a continuous revelation, going on? It is a marvelous book—these spiritual revelation of the world. The Bible, the Vedas, The Koran and all other sacred books, are but so many pages, and an infinite number of pages remain yet to be unfolded. I would leave it open for all of them. We stand in the present, but open ourselves to the infinite future. We take in all that has been in the past, enjoy the light of the present and open every window of the heart for all that will come in the future. Salutation to all the prophets of the past, to all the great ones of the present, and to all that are to come in the future." Vivekananda spelt out his mission, "We want to lead mankind to the place where there is harmonization of the Vedas, the Bible and the Koran. Mankind ought to be taught that religions are but the varied expressions of the Religion, which is Oneness, so that each may choose the path that suits him best." Affirming that there existed two civilizations, which had developed and thrived upon two different approaches to life, Vivekananda said, the Western approach was based upon the quest as to how much a man needed to acquire and possess in order to be happy and the Eastern—the Hindu—approach was a quest as to what is the minimum that a man requires to possess in order to remain happy. Vedanta believes in the unity of existence. Man, nature and universe are all one, inter related, interconnected and interdependent. One cannot exist without the other. There is a rhythm and a delicate balance in the universe, which sustains it in its totality. When man exploits nature, there is bound to be a backlash and consequent chaos. This makes it imperative that man and nature replenish each other and both attain maximum well-being. The Parliament of Religions opened on Monday, September 11, 1893. The spacious Hall of the Art Institute was packed with nearly 7,000 people and every organized religion from all corners of the world had its representatives seated on the platform. And when his turn to address the august assembly came, Vivekananda, a young man of 30, rose like the morning sun and created almost a sensation when he addressed the audience as "Sisters and Brothers of America" and said "It fills my heart with joy unspeakable to rise in response to the warm and cordial welcome which you have given me. I thank you in the name of the Mother of Religions and in the name of the millions and millions of Hindus of all classes and sects." Vivekananda continued: "I am proud to belong to a religion which has taught the world both tolerance and universal acceptance. We believe not only in universal toleration, but we accept all religions as true. I am proud to belong to a nation that has sheltered the persecuted and the refugees of all religions and all nations of the earth. I am proud to tell you that we have gathered in our bosom the purest remnant of the Israelites, who came to southern India and took refuge with us in the very year in which their holy temple was shattered to pieces by Roman tyranny. I am proud to belong to the religion, which has sheltered and is still fostering the remnants of the grand Zoroastrian nation." Vivekananda roared, "If anything, the Parliament of Religions has proved to the world that holiness, purity and charity are not the exclusive possessions of any church in the world. Sectarianism, bigotry, and its horrible descendant, fanaticism, have long possessed this beautiful earth. They have filled the earth with violence, drenched it often and often with human blood, destroyed civilizations, and sent whole nations to despair. Had it not been for these horrible demons, human society would be far more advanced than it is now. But their time is come. I fervently hope that the bell that tolled this morning in honor of this convention may be the death- knell of all fanaticism, of all persecutions with the sword or with the pen, and of all uncharitable feelings between persons wending their way to the same goal." In the face of this evidence, if anybody dreams of the exclusive survival of his own religion and the destruction of others, I pity him from the bottom of my heart, and point out to him that upon the banner of every religion will soon be written: 'Help and not fight,' 'Assimilation and not Destruction,' 'Harmony and Peace and not Dissension'." Like a true Hindu, Vivekananda envisioned religions as different radii leading to the center of the circle. Each religion, he pleaded passionately, must assimilate the spirit of the others and yet preserve its individuality and grow according to its own law of growth. He did not limit his concept of God to any one religion or faith but defined it as the worship of the Virat Purusha, the cosmic form of God, the Transcendental Reality that embraced the whole of humanity. This principle of the Universal Oneness of the Self formed the basis of his inherent belief in the equality of all people, irrespective of the considerations of three Cs-caste, creed or color. "Each soul", he said, "is potentially divine, and the purpose of life is to realize that potential and manifest its essential nature of divinity." As a man of religious experience, Vivekananda had few parallels. Instead of seeking personal salvation by means of contemplation, he turned all his energy to the amelioration of the suffering humanity. "I do not care for liberation", said he once, "I would rather go to hundred thousand hells doing well to others. This is my religion." His heart ached at the plight of the poor and the downtrodden. He was upset at the fact that his people lacked physical vigor and mental energy and were weighed down by barren customs, sterile traditions, priest-craft and caste-ism. The crying evil in the developing world, he said, was not want of religion but want of bread. "It is an insult to a starving people to offer them religion; it is an insult to a starving man to teach him metaphysics." The philosophy of service advocated by this giant among men emanated from his chore belief that "Jiva is Shiva". He would thunder in his lectures exhorting youth to "see Shiva in the lowliest and the lost". The worship of Narayana has to be through service to Daridra-Narayana, the poor, the needy and the homeless, he said. He gave the people the clarion call to "Arise, Awake and Stop not till the Goal is Reached." The call woke up the people of India from their slumber and inertia of petty mindedness and superstitions and broke their hypnotic spell of diffidence caused by thousands of years of subjection; it inspired the seekers, the thinkers and the lay people alike and made them fearlessness and strong. "They alone live, who live for others, the rest are more dead than alive", he would often say. It is this paradigm that inspired and influenced John Rockefeller whose life underwent a complete transformation after a personal meeting with the Indian monk. Vivekananda made Rockefeller realize that he was only an instrument and a channel and that God had given him wealth as an opportunity to help other people. What could India teach the World? "Each nation, like each individual, has one theme in life", he would say, and if any nation throws off its national vitality, it dies. He knew that India could teach the world, as the great American historian, Will Durant, believed, "tolerance and gentleness of the mature mind, the calm of the understanding spirit, the quite content of the un-acquisitive soul, and a unifying, pacifying love for all living things." *Swami Vivekananda's 148th birth anniversary falls on 12th of this month. *A journalist by profession, a scholar by temperament and a writer by choice, Gopinath Raina was inclined to the study of religion from his very young age. 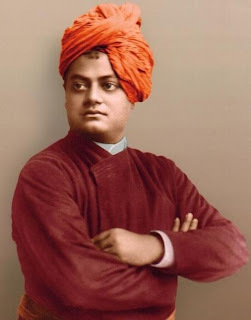 It was Swami Vivekananda's dynamic exposition of Hindu thought that fired his imagination while he was still at school, and by the time he entered college, he had been drawn to the writings of Gandhi, Aurobindo, Narayana Guru, Radhakrishnan and Bertrand Russel. 1. Identity: It was Swami Vivekananda who gave to Hinduism as a whole a clear-cut identity, a distinct profile. Before Swamiji came Hinduism was a loose confederation of many different sects. Swamiji was the first religious leader to speak about the common bases of Hinduism and the common ground of all sects. He was the first person, as guided by his Master Sri Ramakrishna, to accept all Hindu doctrines and the views of all Hindu philosophers and sects as different aspects of one total view of Reality and way of life known as Hinduism. Speaking about Swamiji's role in giving Hinduism its distinct identity, Sister Nivedita wrote: "… it may be said that when he began to speak it was of 'the religious ideas of the Hindus', but when he ended, Hinduism had been created." 2.Unification: Before Swamiji came, there was a lot of quarrel and competition among the various sects of Hinduism. Similarly, the protagonists of different systems and schools of philosophy were claiming their views to be the only true and valid ones. By applying Sri Ramakrishna's doctrine of Harmony (Samanvaya) Swamiji brought about an overall unification of Hinduism on the basis of the principle of unity in diversity. Speaking about Swamiji's role in this field K M Pannikar, the eminent historian and diplomat, wrote: "This new Shankaracharya may well be claimed to be a unifier of Hindu ideology." 3. Defence: Another important service rendered by Swamiji was to raise his voice in defence of Hinduism. In fact, this was one of the main types of work he did in the West. Christian missionary propaganda had given a wrong understanding of Hinduism and India in Western minds. Swamiji had to face a lot of opposition in his attempts to defend Hinduism. 4. Meeting the Challenges: At the end of the 19th century, India in general, and Hinduism in particular, faced grave challenges from Western materialistic life, the ideas of Western free society, and the proselytizing activities of Christians. Vivekananda met these challenges by integrating the best elements of Western culture in Hindu culture. 5. New Ideal of Monasticism: A major contribution of Vivekananda to Hinduism is the rejuvenation and modernization of monasticism. In this new monastic ideal, followed in the Ramakrishna Order, the ancient principles of renunciation and God realization are combined with service to God in man (Shiva jnane jiva seva). Vivekananda elevated social service to the status of divine service. 6. Refurbishing of Hindu Philosophy and Religious Doctrines: Vivekananda did not merely interpret ancient Hindu scriptures and philosophical ideas in terms of modern thought. He also added several illuminating original concepts based on his own transcendental experiences and vision of the future. This, however, needs a detailed study of Hindu philosophy which cannot be attempted here. Teach yourselves, teach everyone his real nature, call uon the sleeping soul and see how it awakes. Power will come, glory will come, goodness will come, purity will come, and everything that is excellent will come when this sleeping soul is roused to self-conscious activity. One fails to understand the reason behind such an uproar against the conviction of Binayak Sen, who is actually a front man, courier and a supporter of Maoists. Just because he is a paediatrician by profession and has worked for tribals does not mean he cannot commit any wrong. The lower court, which has sentenced him to life imprisonment along with two others after an open, two-and-half-year trial, must have found him guilty of criminal conspiracy to commit sedition. Everyone expresses full faith in the judiciary as long the judgement, be it acquittal or conviction, is in favour. The moment a verdict is contrary to one's expectation, the fairness of the judiciary is questioned. Rights activists, Left sympathisers and members of the Chhattisgarh Mukti Morcha held a rally and staged a sit-in to protest against the verdict. Such ceremonial protests by activists, who call themselves the custodians of civil and human rights and believe in making irresponsible statements, go on to show that they want to have all the benefits and rights of a democracy but none of the responsibilities of protecting the nation from those who threaten to destroy it. What surprises one is that a former Chief Justice has called the judgement "nonsensical" and "unacceptable" and that he feels "ashamed to belong to a judiciary that delivered such a ridiculous judgement." The sole objective of these Maoists is to browbeat the security forces and civilians so that their illegal activities like kidnapping for ransom, extortion and protection racket remain unchallenged. What is most disturbing is that they are doing all this and more in the guise of helping tribals and uplifting their lot. An estimate puts their earnings from illegal activities at `1,500 crore. They impose their reign of terror by killing innocent people and men in uniform. Between 2005 and May 2010, they have taken the lives of 10,268 people. While 2,372 deaths were reported in 2009 as many as 1,769 people died in 2008 and 1,737 in 2007. In one of the worst Maoist attacks, 55 civilians were killed, 40 injured and 125 kidnapped at Dantewada on February 28, 2006. And more recently in April 2010, 76 CRPF personnel were massacred in Dantewada district of Chhattisgarh. It irks to see that there is not a word of sympathy from these so-called civil rights activists for the innocent people slaughtered in cold blood by Maoists. But they are up in arms when a conspirator is convicted by a court of law. They are least bothered about Maoist crimes and large-scale corruption. All they want is cheap publicity and this casts doubts on their sincerity. The Union Minister for Finance, Mr Pranab Mukherjee, is right in slamming the argument that Maoist violence is an offshoot of lack of development as "more imaginary than actual". The Minister, reacting to the 'root-cause theorists' who routinely peddle the 'lack of development' theory to justify the spread of Maoism, said the Maoists are engaged in a political project to capture power by using guns. In his words: "Development is needed. Lack of development may swell Maoist cadre. But they do not run charitable institutions ... They are political elements and want to capture power." The Union Minister for Home Affairs, Mr P Chidambaram, has been equally candid. He said in unequivocal terms that intellectual and material support to Maoists from various quarters was making the Government's task to curb the menace all the more difficult. He has been equally critical of the liberal media for giving these murderers respectability. According to him, Maoists seduce the media by making false charges in court to generate sympathy. "Maoists believe in violence which has no place in a democracy. A strong head, a stronger heart and staying power is required to tackle them," he said. March 15, 2007: 55 killed in an armed attack and bombings at Bijapur in Chhattisgarh. June 29, 2008: 31 policemen, mostly from anti-Maoist Greyhounds of Andhra Pradesh, and four paramilitary personnel killed in an attack on a motor boat at Malkangiri in Odisha. April 8, 2004: 19 Jharkhand Armed Police personnel and nine CRPF men killed by landmines at Chaibasa in Jharkhand. July 9, 2007: 16 CRPF men, eight policemen from Chhattisgarh and one civilian killed in Maoist attack at Dantewada in Chhattisgarh. February 15, 2010: At least 24 personnel of the Eastern Frontier Rifles killed in an attack on the EFR camp at Silda in West Bengal. April 2010: 76 CRPF men killed in an ambush at Dantewada in Chhattisgarh. The prophetic warning of Mr Chidambaram needs to be drilled into the heads of civil rights activists: "There can be no half-way approach. Most people still think there could be a compromise or some kind of median approach. This is immature and foolish ... This (Maoist violence) is expected because as long as we did not engage them, they were happy and expanding. They will continue to expand unless we challenge them." The rights activists would do well to advise their Maoist friends on the futility of killing innocent and poor people. In fact, that would be of help in dealing with what the Prime Minister describes as "the most serious threat to India's internal security". Despite the Prime Minister's deep concern over the "virtual collapse of law and order in view of extortion demands, display of arms, encroachments on public property and the militant rhetoric of Maoist leaders at rallies and meetings", the situation remains unchanged. It is high time for every right-thinking person to come to the aid of the Government. On its part, the Government needs to change the law to encourage people to come forward and depose before a court of law, as nobody, except a foolhardy person, would do so when an atmosphere of fear and terror prevails. With some amusement I read reports last Friday about jailed Maoist Binayak Sen having moved a court in Chhattisgarh against the sentence of life imprisonment awarded to him last month. I say amusement because only 48 hours prior to his going in appeal, his wife Ilina Sen lashed out at the Indian judiciary, police, Government and finally India itself. Declaring that her husband's trial was staged, that the whole thing was a frame-up and Indian courts were putty in the hands of politicians, Ilina Sen said she had no faith in the fairness quotient of India's judicial process. She went on to add that in view of the harassment her Maoist husband had undergone, she would seriously contemplate seeking political asylum in a "genuine liberal democracy", implying Indian democracy was a sham. After that outburst, broadcast on various news channels and extensively reported in newspapers (English-speaking Maoists get a lot of mileage in the English-language media and relatively little in their Indian-language counterparts), one would have expected Sen's considerable brigade of supporters to move international agencies to process his application for "political asylum". Since the convicted leader has no faith in the Indian judicial process, it would only be appropriate that he should pursue migration abroad. But I wonder what kind of "genuine" liberal democracy Ilina Sen has in mind. Since Maoists are fighting the Indian state with the aim of establishing a proletarian dictatorship in India and avowedly reject Western-style democracy, there is a contradiction in her statement. Liberal democracy, as commonly understood, refers to the system of Government prevailing largely in Europe and North America and some countries of South Asia. In the past, Communist regimes fashioned themselves as People's Democracies that were subject to one-party rule. Barring a few countries in Asia (China, North Korea and Vietnam come to mind) and one in Latin America (namely, Cuba) that discredited system has been buried everywhere else. Surely, the Indian Maoist leader's wife does not have any of these countries in mind when she expresses her desire to migrate! Although, it must be pointed out that most Naxalite intellectuals of the 1970s eventually abandoned the 'revolution' and succumbed to the discreet charm of the Green Card and took the first available flight to JFK once they quietly converted to the capitalist faith. Some have continued to spew revolutionary fire through their academic pursuits in US universities, turning institutions like Berkeley into quasi-Maoist dens. It would not be surprising, therefore, if the Sens are nursing a similar goal. This is not the place to debate the merits of Binayak Sen's case. It may well be that the Raipur court has passed an unduly harsh verdict on the Maoist ideologue and his sentence would get reduced in appeal. That is a matter in the legal domain and since senior advocates of various political persuasions, BJP MP Ram Jethmalani included, are falling over one another to argue for him, I am sure that Sen will have the best defence he could have hoped for. The issue, however, is one of double standards and systematic orchestration of opinion in favour of a convict. A friend on Facebook recently posted a count of articles in favour of Sen. On one given day alone there were 124 write-ups in the Indian print media alone, leave alone suitably tilted TV discussions and blogs! Some time ago, I was horrified to note the number of Google entries the doctor attracted. Significantly, two of my earlier pieces in these columns, predictably not flattering to him, drew the ire of hundreds. I have rarely got so much hate mail on any other subject. Binayak Sen may eventually be acquitted. But my point is about the selective orchestration (actually manipulation) of public opinion by a set of Left-leaning radicals who have a romantic notion of Maoists, Kashmiri secessionists, 'persecuted' Christian missionary proseletysers and so on. In other words, all those out to weaken the Indian state and dilute the country's national resolve are lauded uncritically and anybody mildly suggesting anything to the contrary is howled down, apart from being tainted as a neo-Fascist. It is exactly the same way that December 13 Parliament House attack accused SAR Gilani was feted. The same people volubly defended the secessionist jamboree in Delhi last year in which Kashmiri groups implacably hostile to India, the rump of Punjab and North-East outlaws and sundry India-bashers assembled to preach India's dissolution. Their cause was spiritedly championed by the redoubtable Arundhati Roy, who has already declared her desire to "secede" from India for a variety of imagined grievances. The separatist conference in Delhi truly crossed the borderline, forcing the courts to intervene and direct the police to file cases of sedition against the preachers of hatred, since the Government was too weak-kneed to proactively pursue them. I nevertheless believe there is a space for dissent in every democracy even for unpalatable views. The problem, however, arises when the so-called votaries of "genuine liberal democracy" refuse to concede similar space to contrary opinion. I hold no brief for Swami Aseemananda, Lt Col Shrikant Prasad Purohit or Pragya Singh Thakur — currently languishing in various jails for allegedly participating in terrorist activities. But when reports of the young Sadhvi's torture and serious health problems came to light, not one 'liberal democrat' questioned the apparent brutality of the Indian state apparatus. Incidentally, none of them has been convicted and from every account the chargesheets (wherever filed) are appallingly weak. On the other hand, Gilani was convicted and sentenced to death but acquitted later and Binayak Sen too is now a convict. Even the courts appear terrorised by the hysteria these people can work up. When the Supreme Court refused to entirely endorse their plea on raising the height of Gujarat's Sardar Sarovar dam, the same 'liberal democrats' burnt effigies and vocally demonstrated outside the court premises. The judges, who would have slammed the handful of agitators into the cooler for at least seven days had they championed any other cause, dealt with this bunch with kid gloves, letting them off with a mild rebuke. On the face of it, there is no linkage between those denouncing a Raipur court for holding Binayak Sen guilty and Congress heavyweight Digvijay Singh's strident utterances against Hindu groups and equally fierce defence of suspected terror sympathisers. But I see a pattern and a political ploy in both. The 'liberals' hold an ideological position similar to Digvijay Singh in matters of terrorism. They are trying to argue that there are 'good' terrorists, wronged by an insensitive state and 'bad' terrorists (although no terror charge against them has been proven) who are flourishing because of misguided majority support. In the process of articulating this position, they justify Maoist depredation, jihadi terror and secessionism of various hues. I believe, despite their effort to overpower all other opinion, the silent majority will ensure India remains one and even if it takes a long time, the conspiracy of destablisation hatched by sundry malefic elements will be resoundingly defeated. In the mid-1970s, when the Soviet Union was still around, there appeared a Red Joke Book in time for the Christmas market. The nice thing about the collection was its indiscriminate irreverence: it mocked both the capitalist West and the socialist East. One Stalin joke is worth repeating. A delegation from his native Georgia, it seems, left Stalin's office after a long meeting. After they had left, Stalin realised that he couldn't find his favourite pipe. He promptly summoned the notorious Beria to find out if anyone from the delegation had purloined it. However, after some time, while rummaging through his own things, Stalin located the pipe under his table. He promptly telephoned Beria and asked him to release the Georgian visitors. "I am sorry Comrade", replied the KGB boss, "but half the delegation has already admitted taking your pipe, and the other half died during questioning." At the risk of doing the newly-formed National Investigation Authority a colossal disservice, this Stalin joke came to mind upon reading the official drip-feed accounts of the confessions of Swami Aseemananda, the Bengali sadhu who is making headlines. It is not that there is any reason to disbelieve Aseemananda's statement, made before a Magistrate and therefore admissible in court, and equate it with the confessions Beria secured. My sources suggest that the swami made his statement voluntarily because he was insistent on telling the truth regardless of the consequences. The swami apparently believes that retributive terror is morally justified and may even say so in court. Aseemananda's apparent determination to emerge as another Nathuram Godse fighting for a misplaced ideal is his own business. Such beliefs (if indeed he holds them) have no place in democratic life and any sympathy for such extremism is unwarranted. However, my concerns are different. First, the confession is an important input into the investigations of at least four terrorist strikes that occurred between 2006 and 2007. Aseemananda was well connected with the network of extremist Hindus who believed in an eye-for-an-eye approach. It doesn't seem he was involved in the operational aspects of the bombings but he certainly provided intellectual inspiration and may even have given logistical and financial assistance to the field operatives. Every lead he has provided has to be rigorously pursued and examined, not least because catching the real culprits of the bombings is a national obligation for the investigative agencies. Equally, the investigators have to collect corroborative evidence so that the prosecution cases are able to withstand judicial scrutiny. Given the inordinate importance of Aseemananda's confessional statement, it is bewildering that it has been supplied to the media even before all the leads provided by him have been pursued and suspects either interrogated or arrested. Any criminal lawyer will readily admit that the premature release of the prosecution's evidence can forewarn others who may be involved and enable them to take evasive action. So, why did the government make this statement available to the media last week? The answer is self-evident: to extract every drop of political mileage from the confession and use it as another prop in the "Hindu terror" charge of the Congress against the BJP. Since Rahul Gandhi has been shown to have said that Hindu extremism is more dangerous than jihadi terror, the Breaking News must be made to demonstrate his prescience. Equally, "Hindu terror" constitutes a parallel narrative to the national preoccupation with Congress corruption. That the government can risk compromising the larger investigation for two days of headlines is revealing. It is a pointer to the cynical politicisation of criminal investigations in India. Secondly, there is something extremely curious about the way in which there is a rush to suggest that the Samjhauta Express bombing of February 18, 2007 was the handiwork of a gang headed by a RSS pracharak. With ruling out the possibility entirely, it would seem that Aseemananda's testimony doesn't provide any meaningful leads. It suggests that one Sunil Joshi had boasted to him that his men had carried out the bombings, and that even Aseemananda had discounted the claim. In an ideal situation, the investigations have to find corroborative evidence to substantiate the point. Were the "Hindu" desperadoes technically equipped to make such sophisticated bombs? Did they have the logistical wherewithal to carry out the operation? There is a larger international dimension as well. The US investigators have claimed, based on inputs from sources in Pakistan, that it was a Lashkar-e-Tayyeba squad under Arif Usmani that had carried out the blasts. This was an important basis for the UN Security Council decision to brand the LeT a terrorist organisation, a decision that has international ramifications. Does Aseemanda's testimony overturn these conclusions? The answer is: highly unlikely. The theory that the Sunil Joshi gang carried out such an audacious operation can't yet be substantiated. But at the same time, to say so makes fantastic headlines at a time of political turbulence: BJP linked to terror, Zero losses in 2-G! Where the country is yearning for a robust and rigorous approach to the war on terror where the culprits must be apprehended regardless of their political and religious cover, the government is seeking to earn political brownie points. Just like Beria did.